It was really a distressing moment in Nigeria as they played against Argentina. But after their efforts, Nigeria was treated to a 2-1 show of disappointment by Argentina thereby kicking them out of the fifa World Cup 2018. 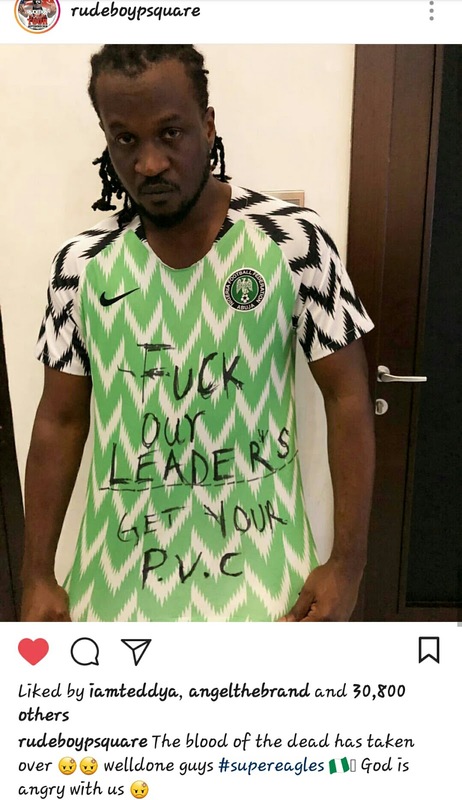 It is a sad period for all Nigerians including Paul Okoye of the disbanded Psquare group who took to his Instagram page to react to the defeat. "The blood of the dead has taken over😡😡 well done guys, #supereagles🇳🇬 God is angry with us😡"